Display up to three full size flags easily, prominently, safely and with a very custom show look. Designed to fit on to the PF1000 flag mount. One or two more additional flag fittings can be added. The fittings accommodate up to 1 1/4” poles and are machined at a 15° angle to their bases. They can be rotated to display your flags, as desired. 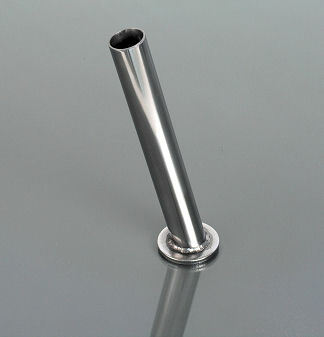 The holder is machined from aircraft quality aluminium and the socket from steel, then both are polished to a flawless finish and triple chrome plated. Not for use on their own or with any other flag mount.